Carlos Moreno is a graduate engineer from Texas A&M in College Station and is the Owner / President of LoneStar Home Solutions. Both he and his wife were born and raised in Seguin Texas. They are now raising three boys in the very community that they grew up in. “We are very blessed to be able to come back after graduation and give back to the very community that has given so much to us. We are here to stay, so our reputation as a premier remodeling company in this community is critical to an everlasting presence in Central Texas. From a young age, my parents taught me the basics of leading a good life; it consists of a hard work ethic, honesty, integrity, and just doing the right things.You will never back yourself into a corner if you are just honest with people”. Often times, home owners are intimidated by contractors and construction because of negative experiences with pricey, low quality construction and/or unreliable service. 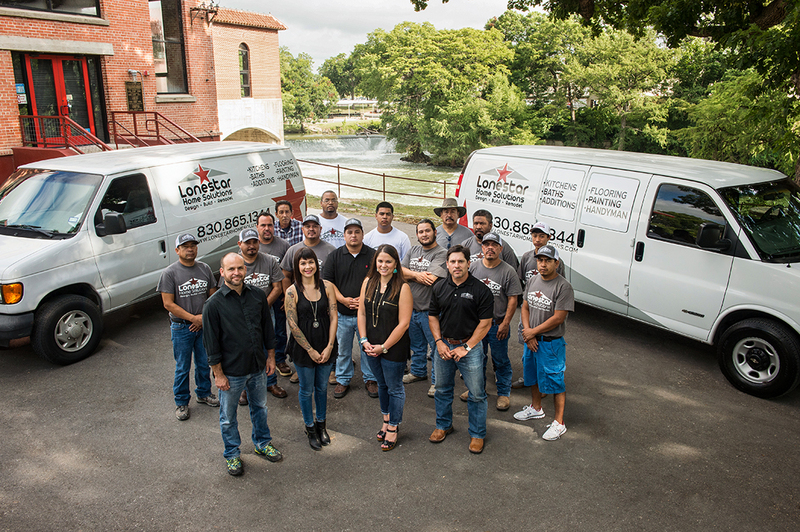 By being HONEST and PROFESSIONAL, LoneStar Home Solutions has been able to win back that trust and build lasting relationships with our clients. It is this hands on approach to building that has helped LoneStar Home Solutions grow from a one man operation, into a premier remodeling firm. Not only does Carlos have a passion for remodeling but so does his team. Our technology advanced systems allow customers to visualize their projects through 3D drawings. This also helps us to plan and to create tight quotes that enable us to be competitive on the input side. Our engineering background helps us with the systems and processes of this industry which makes us very efficient on the output side. Our God continues to provide. We are not just remodeling homes or just earning a living. I believe that this is our life’s purpose to transform homes and impact the lives of our client’s–one home at a time.